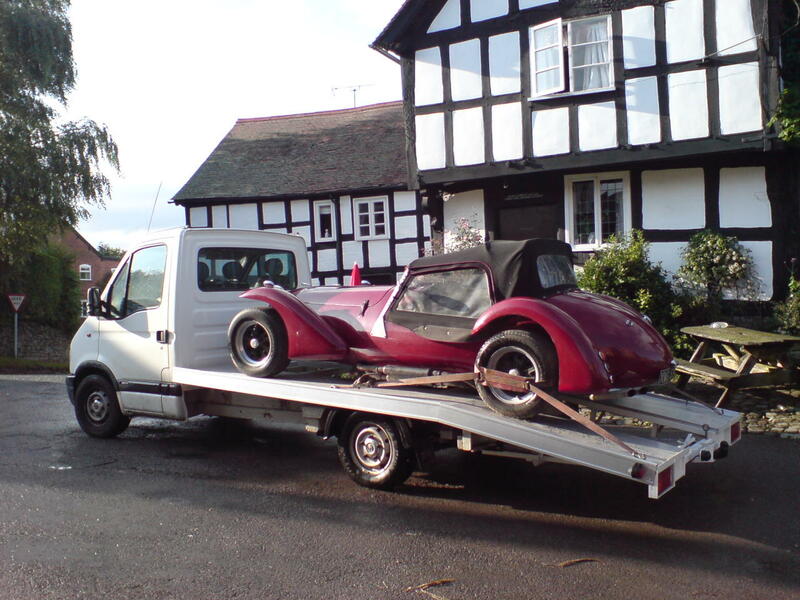 For those projects with a limited budget, we offer an "open transporter" service. A wide variety of vehicles can be accommodated, including three-wheelers and non-runners. Our compact single vehicle transporters are very manuoverable, making them particularly useful in locations with limited access. With the addition of a trailer, two cars can be moved at once allowing a significant saving on multiple car transfers. Our open transporters are suitable for most vehicles weighing upto 2600 kg. The extra low bodies are made to our own specification to minimize the bed height and loading angle for low-slung sports cars. Additional ramps can also be used to further assist with lowered suspension and bodykits. Larger or heavier vehicles are transported on one of our trailers and towed in compliance with tachograph regulations. All our transporters and trailers are fitted with powerful electric winches to accommodate non-runners. AN OLDER EXAMPLE OF THE POPULAR JAGUAR BASED COUGAR. THIS VEHICLE WAS COLLECTED FROM MACHYNLLETH IN NORTH WALES. A VERY AUTHENTIC D TYPE REPLICA DELIVERED TO CLASSIC CAR SHOW AT BEAULIEU. A COMPLETE ONE OFF. VW BUGGY WITH RENAULT V6 POWER - ULTIMATE SUMMER FUN. AN INTERESTING PROJECT VEHICLE. BEETLE WITH ROOF CHOP AND FULL CAGE, FITTED WITH TUNED ALFA BOXER ENGINE FOR DRAG RACING. PORSCHE COLLECTED FROM CHELSEA HARBOUR. WE OPERATE INSIDE CONGESTION AND EMISSION ZONES. 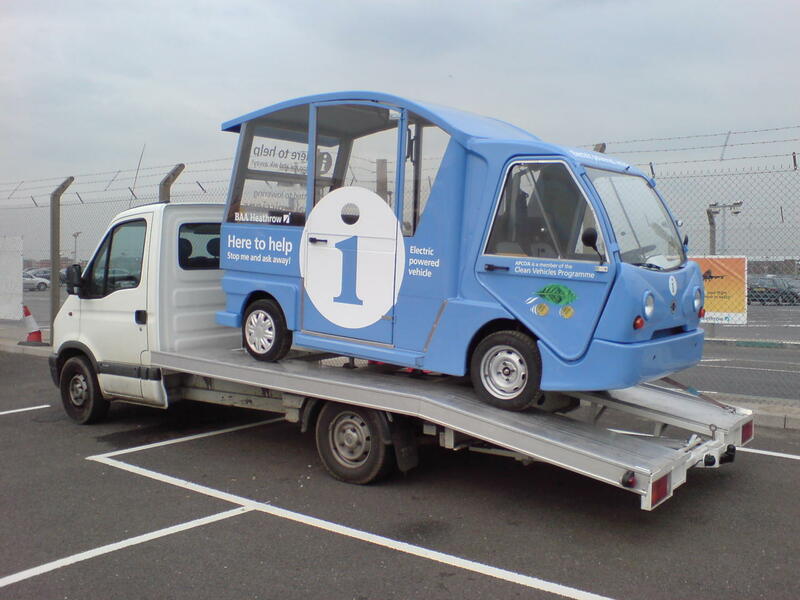 AN ELECTRIC SHUTTLE BUS AT HEATHROW AIRPORT BEING DELIVERED AFTER CORPORATE IMAGE MAKEOVER. 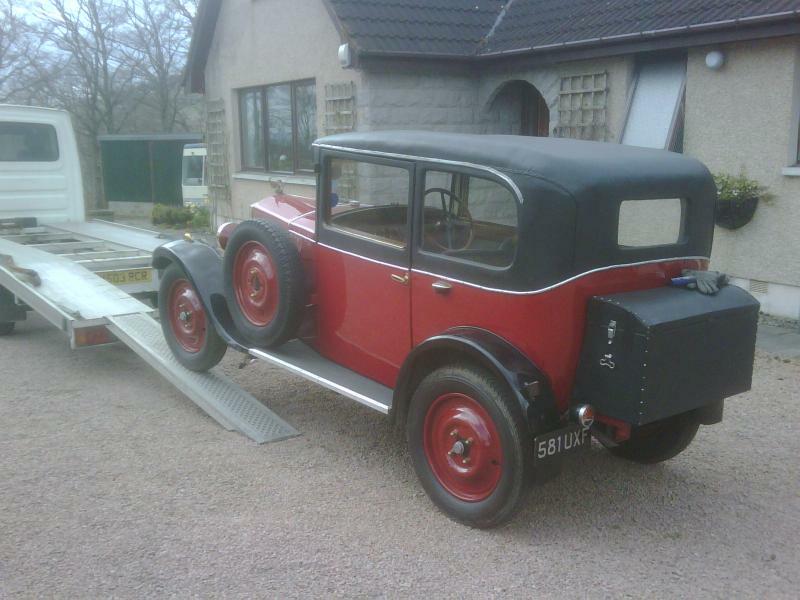 AUSTIN 7 AND PALLET OF SPARES BEING TO DELIVERED TO SHIPPING WAREHOUSE IN SOUTHAMPTON. DESTINATION JAPAN. A STATELY ROLLS ROYCE ON TRI-AXLE TRAILER. BOUGHT AS ADDITION TO WEDDING FLEET IN BRIGHTON. A GYPSEY CARAVAN AND SCOOTER DELIVERED TO SOUTH OF FRANCE. WE STRIVE TO ACCOMMODATE ALL VEHICLE TYPES. Copyright movemymotor.co.uk 2007. All rights reserved.